Looks like 2013 Geneva Motor Show will be focusing on hybrids and fuel efficient cars this time. On one hand, where Volkswagen will come up with Volkswagen XL1 hybrid, which is capable of delivering 111 kmpl of mileage, on the other hand, Audi isn’t lagging behind. 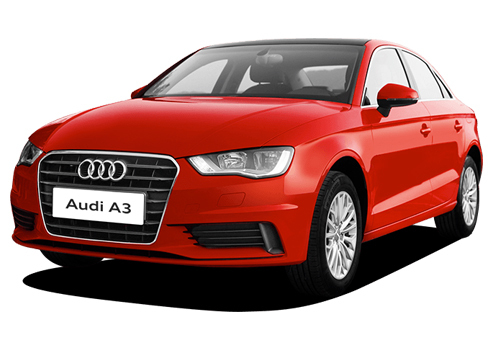 Audi is all set to showcase its hybrid called Audi A3 E-Tron at the Geneva Motor Show, which is scheduled to take place this March. So, Audi A3 E-Tron plug-in hybrid is promising to deliver a great fuel economy of 66 kmpl. The reason behind delivering this amazing mileage is the 1.4-Litre TFSI and 75KW electric engines, which has been combined together and mated with 6-speed e-S TRONIC transmission. This not only enhances the mileage delivery, but also improves the pickup and acceleration. The car will have a top speed of 222 kmph and would touch the 100 kmph speed mark in 7.6 seconds. When run in all-electric mode, it could run up to 50 kms without any trouble. Both the engines together make the car to churn out maximum power output of 204PS along with generating maximum torque of 350Nm. So far, the company has kept mum on the official launch details of the car. But, one thing is for sure, which for Indian fans will have to wait for a long time for Audi A3 E-Tron. You could expect a hybrid coming to India, as the country lacks plug in stations. To make its Indian fans happy, the car maker had recently rolled out Audi Q3 in a petrol avatar. This variant was launched for a price of Rs. 27.37 lakh. Audi Q3 2.0 TFSI model comes with 2.0-Litre TFSI petrol engine, which not only churns out impressive power but also provide an amazing driving experience on road.